Home » Costumes from French Imperial. Costumes from French Imperial 1850s. Gallery: Les nations. Album des Costumes De Tous les Pays. Par Alexandre Lacauchie. Paris. Maison Martinet. Haute Cœur frères 41, Rue Vivienne et 146, Rue de Rivoli 1850s. 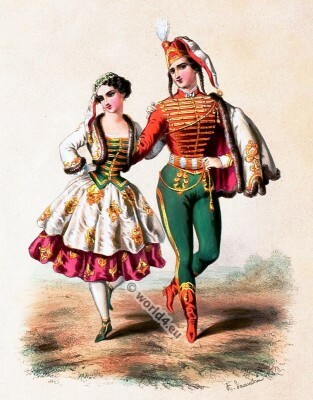 This entry was posted in 1850, 19th Century, France, Military and tagged French national costumes on 12/14/14 by world4.